Jackson Lundgren recently joined Aspect’s Seattle office. Here are five questions we asked to get to know him better. I’m from just north of San Francisco, a friendly suburb called Mill Valley tucked away in the fog and Redwood trees of Mt. Tamalpais. I came to Washington for school in Bellingham where I wanted to study Automotive Engineering at Western Washington University. I wound up getting my Bachelor of Science in Geology instead. 2. What inspired you to pursue Geology? What made you curious about it? I grew up along the San Andreas Fault and was fascinated by the idea of a force slowly tearing California apart. I was also impressed by the dynamic nature of the California coastline where mudslides often destroyed local homes and infrastructure. That background curiosity combined with vacations in Yosemite and the Mt. Shasta area led to a lifelong love for geology and the environment that eventually eclipsed my interest in engineering. 3. What do you like best about your area of expertise? What excites you and keeps you motivated? Helping keep people and property safe from hazardous conditions in the environment. The idea of working as part of a team to solve complex and often very different issues helps keep me motivated. 4. What do you like to do when you aren’t working? I like to fish, hike, cook (especially jambalaya! ), read, road trip, and see live music. 5. Where would your dream house be located? One house on Bainbridge Island (right on the point by the ferry, you know the spot). Another house in Morro Beach, California, looking out at Morro Rock. I’d spend April through October on Bainbridge, then spend the winter on the central California coast. On Martin Luther King Day this week, Aspect staff took some time to participate in a Day of Service event. 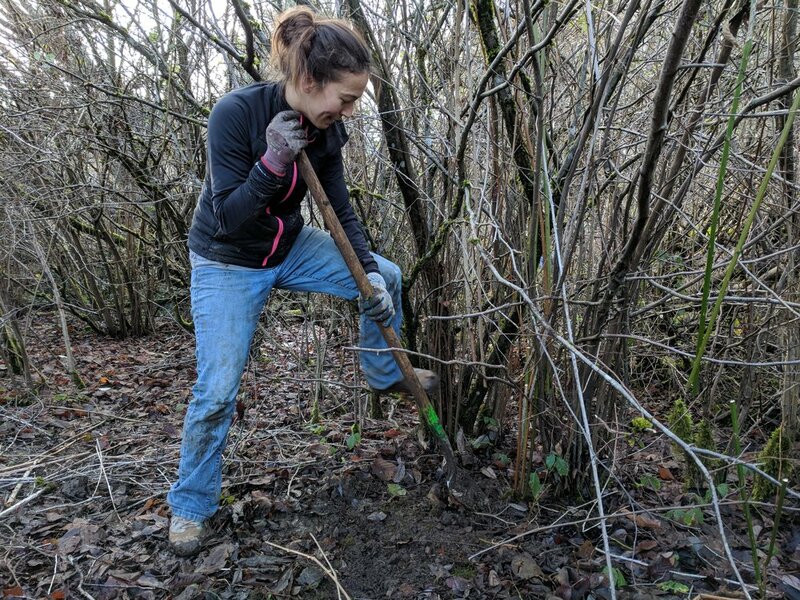 We joined Nature Consortium and many dozens of other volunteers in a restoration effort at Pigeon Point Park in West Seattle. We were tasked with removing invasive blackberries! The weather was great, we didn’t get scratched too badly—we did get muddy, and we made a little dent in the blackberry problem. Action shots from the day. Volunteers: 1 - Blackberry Brambles: 0!